Summer Shopping Fest is ON! Check out Toys R Us Summer SALE happening until March 21, 2019 at Robinsons Galleria Activity Area. 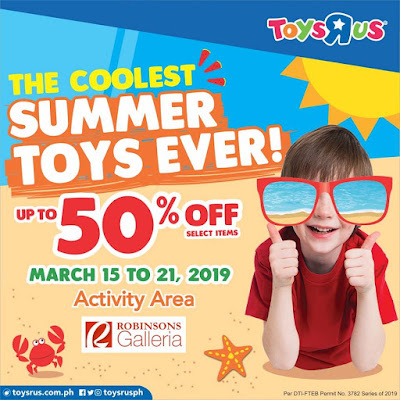 Get in the swing of summer by grabbing thrillin' toys perfect for outdoors, family fun, and action & adventure from Toys"R" Us!